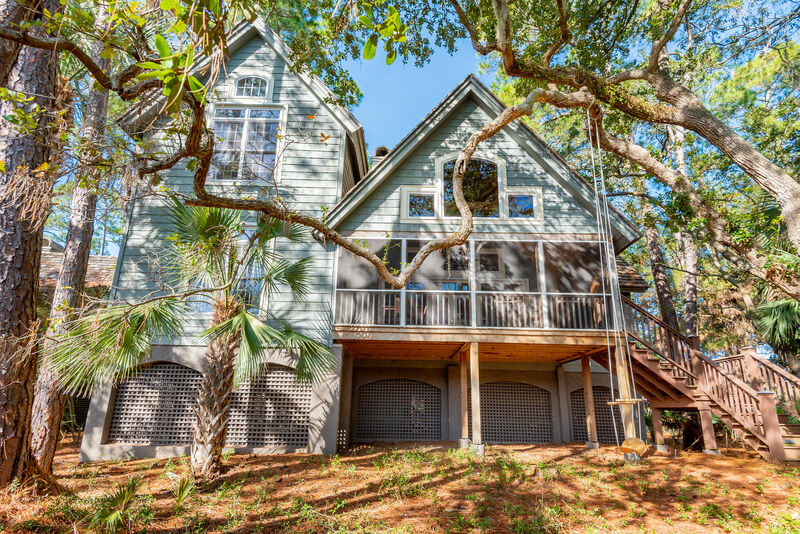 This 4-bedroom, 4.5-bathroom Kiawah Island vacation rental, located at 30 Marsh Cottage Lane, offers a functional floor plan great for family and friends as well as marsh views from the lovely screened porch. 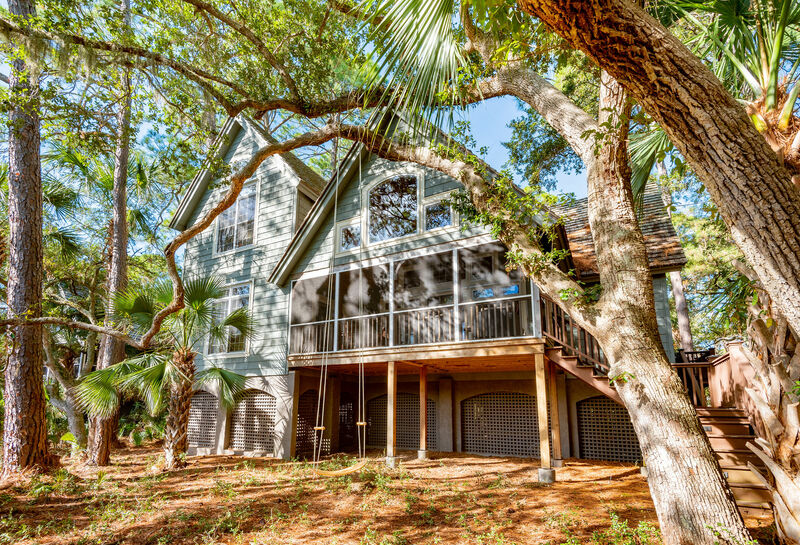 Located on a quiet street, this home is perfect for enjoying the beautiful island. It is only a 9-minute walk to the nearest beach access. Through the front door you will feel right at home. 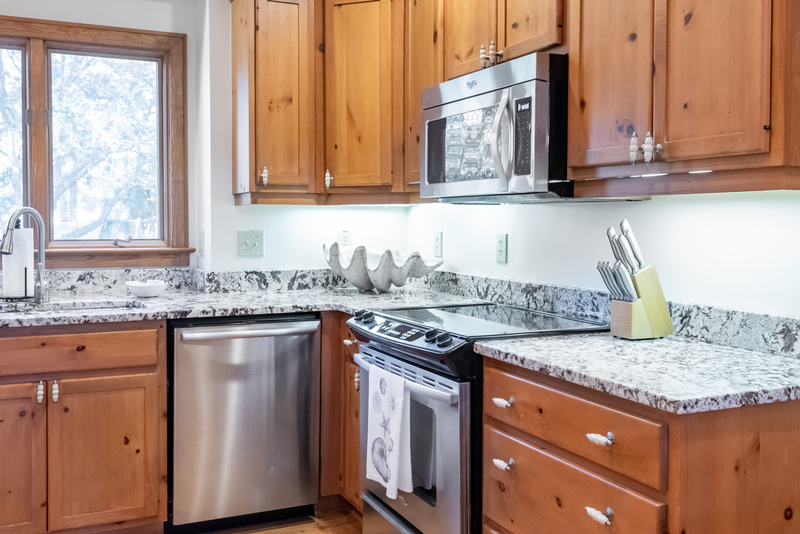 To the left is a fully equipped kitchen with stainless steel appliances, bar stool seating for 2 and access to a side deck great for grilling. 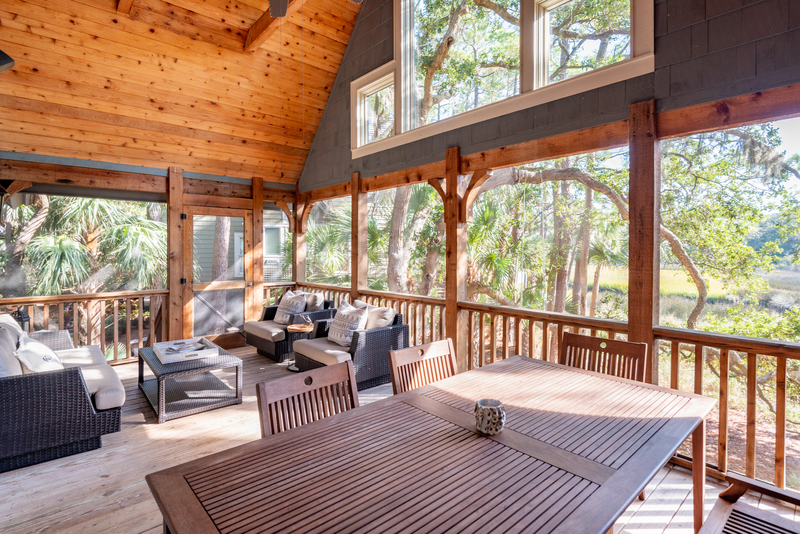 A dining area, with seating for 8 is the perfect place to enjoy meals together while on vacation. 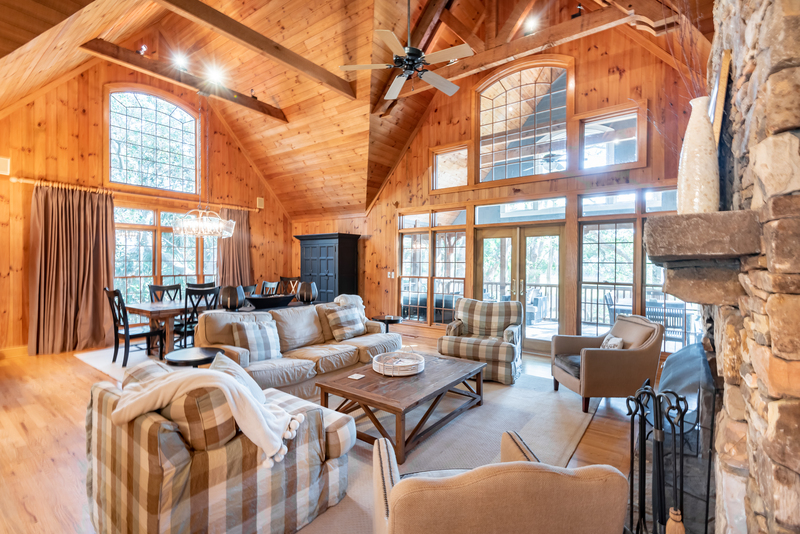 The living room has a flat screen TV, beverage cooler, comfortable seating and access to the screened porch with a sofa, chairs, table for dining, ring toss game, and a ceiling fan. 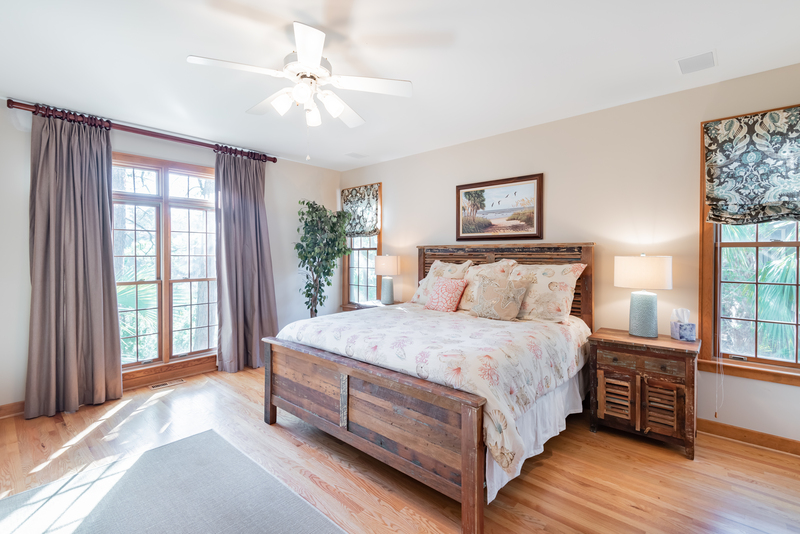 The first-floor master bedroom with flat screen TV has a king size bed and invites you onto the screened porch where you can sit and enjoy your morning coffee while taking in the marsh views. 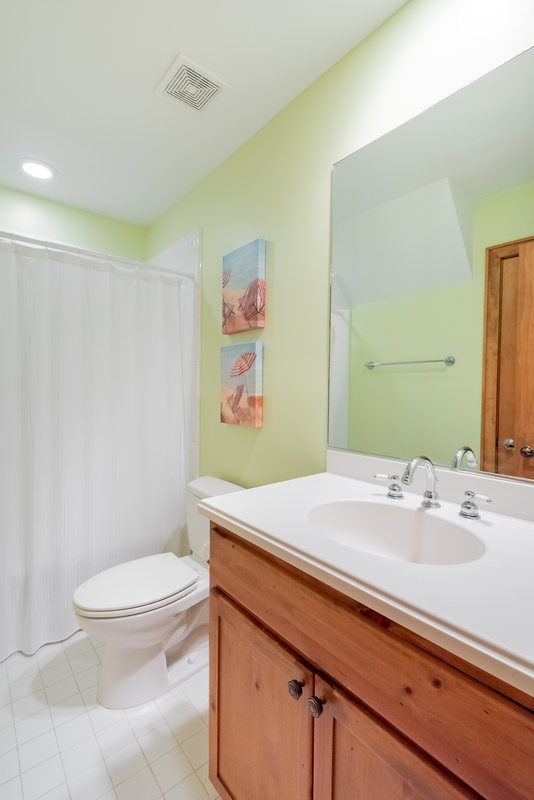 The large master bathroom has 2 separate sinks, soaking tub, and walk-in shower. 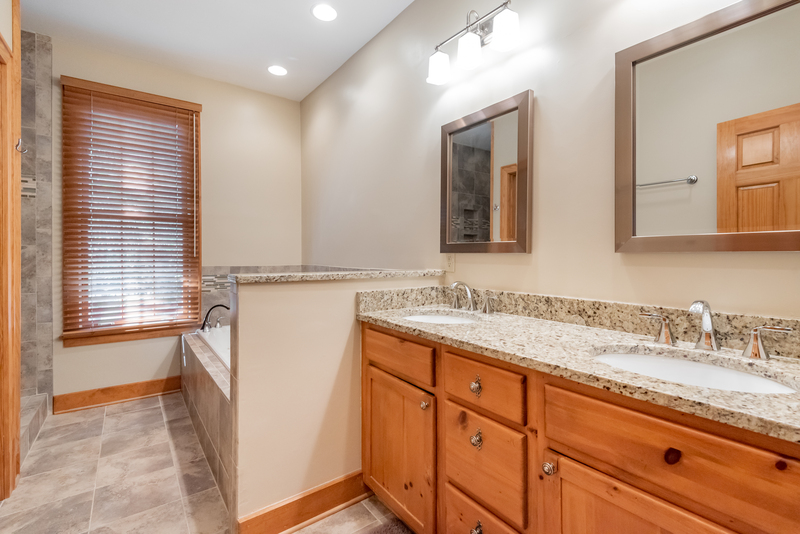 The first floor is completed by a half bathroom. Ascend the stairs to find 3 other bedrooms. 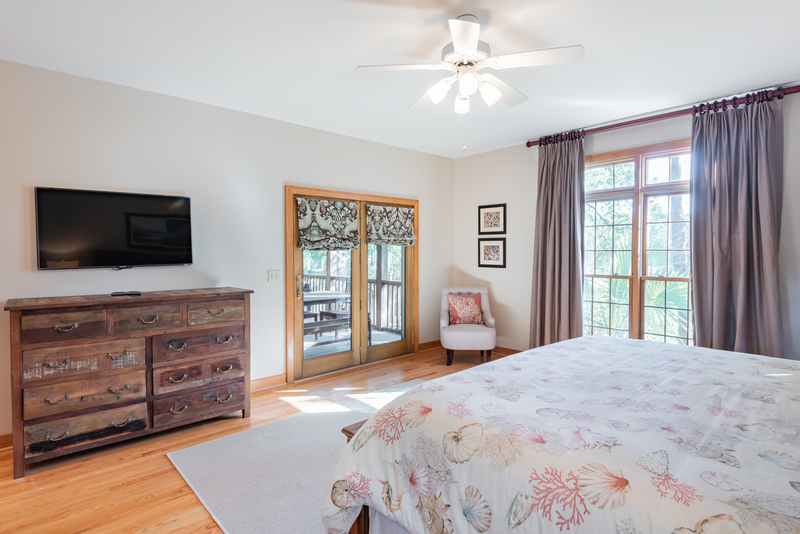 The first bedroom features a full-sized bed and private bathroom with a shower/tub combo. 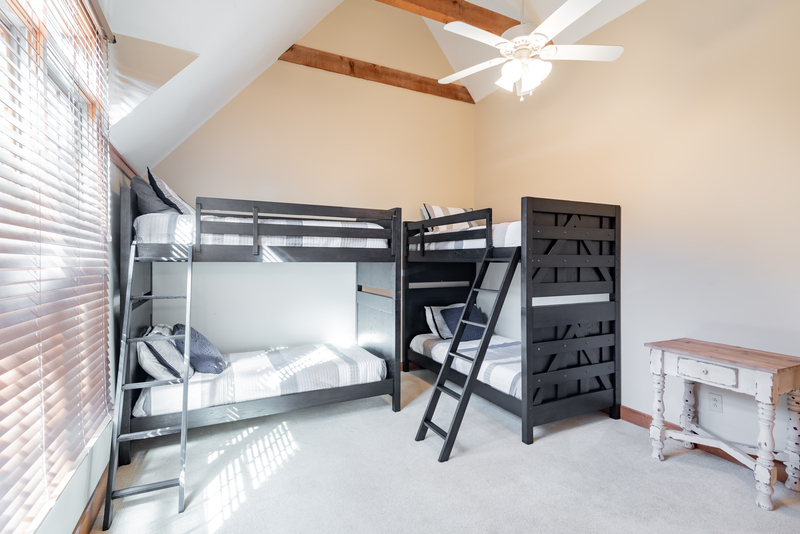 The second bedroom, perfect for children, has 2 twin over twin bunk beds and a private bathroom with a shower/tub combo. 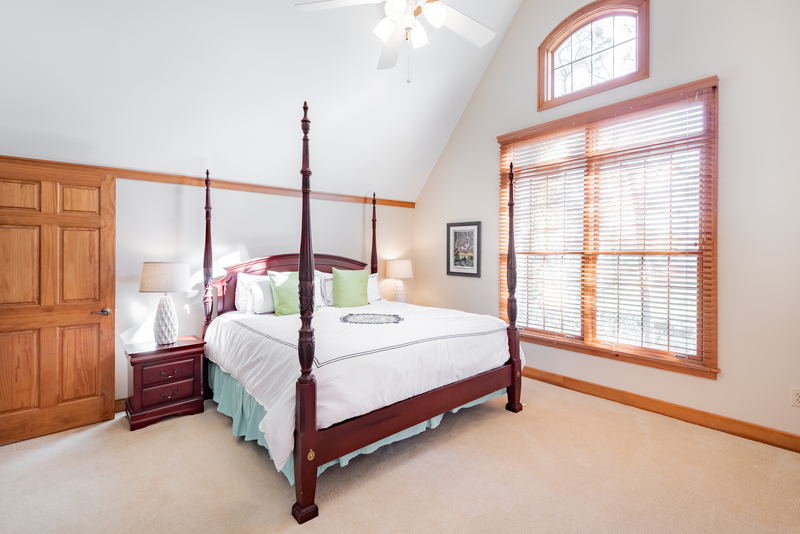 The last bedroom features a king-sized bed and private bathroom with shower/tub combo. 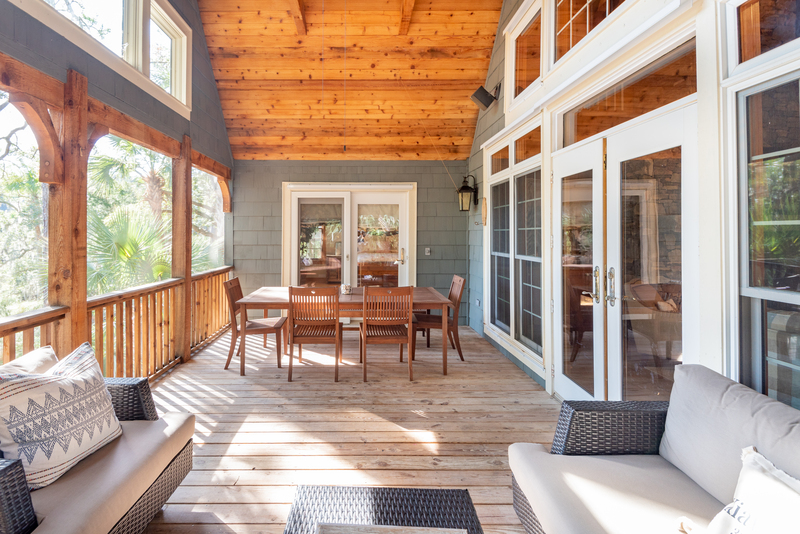 From the garage, access an open air space where guests can enjoy playing ping pong, corn hole or simply hanging out. 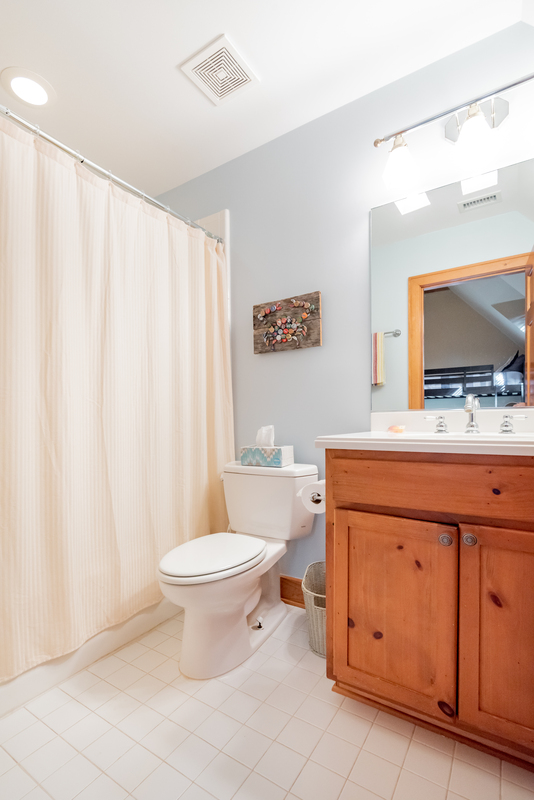 This home also provides many board games for family fun, a swurfer swing in the backyard, and wireless internet. 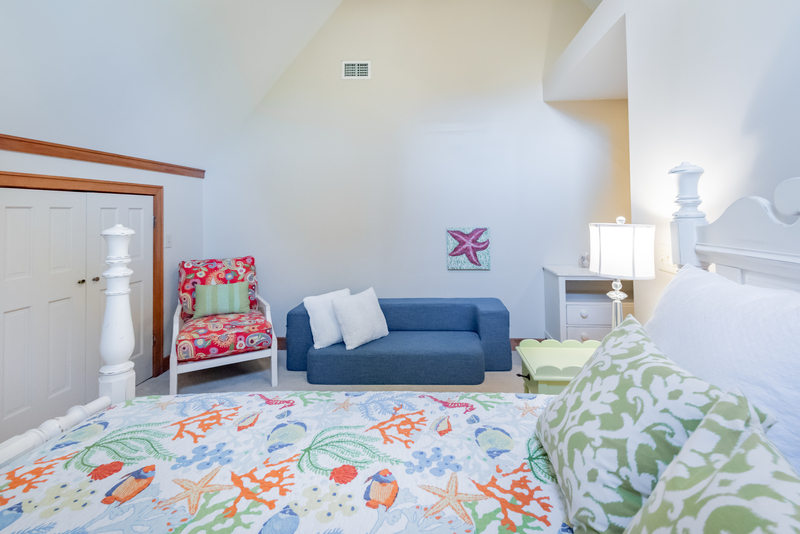 Effective January 1, 2019, guest reservations of 3 to 21 nights come with a valuable credit to use towards beach gear rentals during your stay! The credit amount for this property is $250. You may use your credit for bicycles, beach chairs and umbrellas, beach carts, kayaks, stand-up paddleboards, and more – the choice is yours. This home was the perfect setting for a weekend get away for my sisters and I. 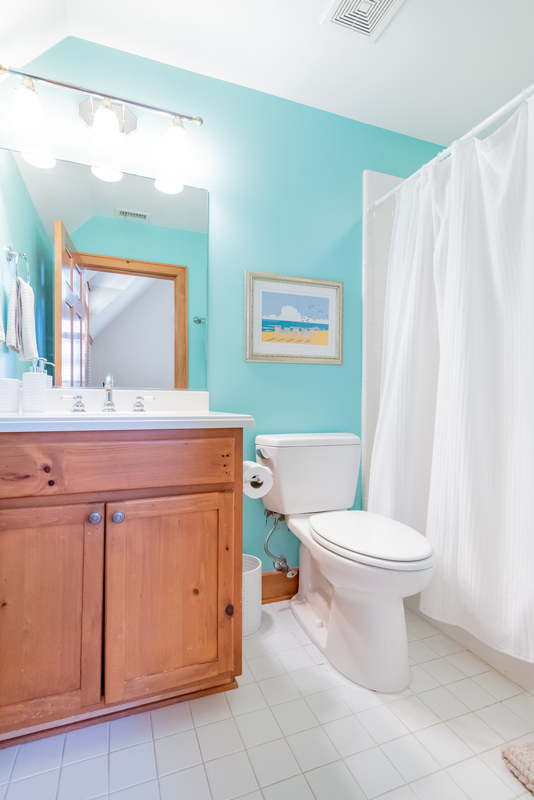 It was immaculately clean and beautifully furnished. 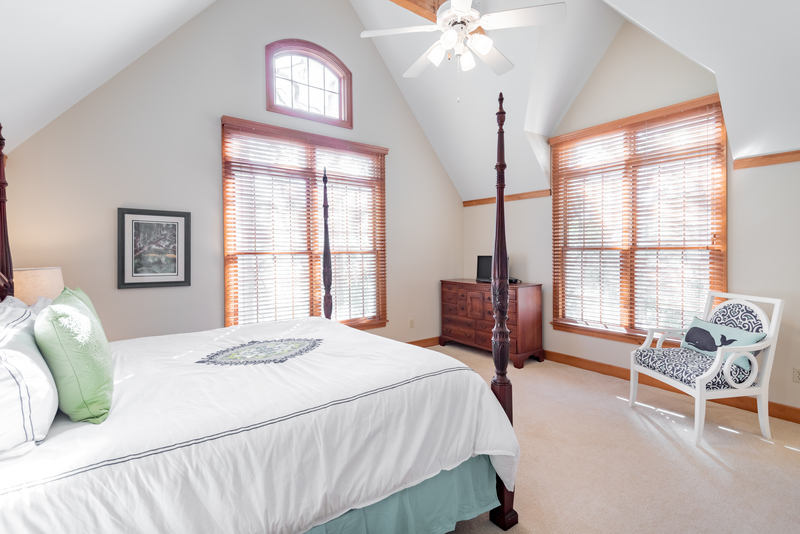 It was perfectly located, just a short walk or bike ride to the beach and golf course. The house is huge! We will definitely stay here again! Everything was perfect and Akers Ellis made everything seamless.